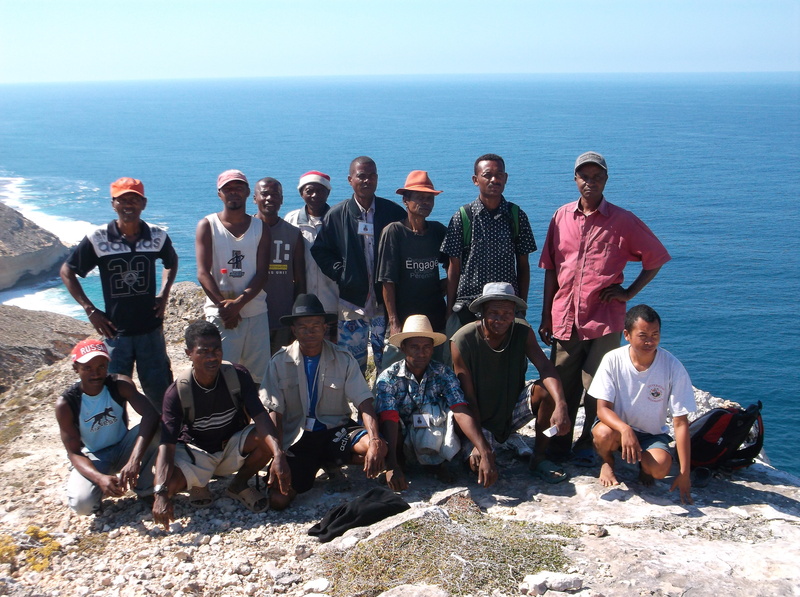 Visit of the southern tip of Madagascar, the Special Reserve of Cape Ste. Marie. In October, a dozen members of KASTI (the Forest and Environment Committee) of Bezà Mahafaly participated in a 20 day educational tour of the protected areas of the southern part of Madagascar, with the support of LCAOF and in collaboration with MNP and ESSA. These areas include the National Park of Tsimanampetsotse, the Special Reserve of Cap Sainte Marie and the National Park of Andohahela. The purpose of the trip was to meet other KASTI members in these three protected areas so that they could share their ideas and experiences in forest management. Apart from the knowledge of biodiversity and social status of each protected area, the KASTI have also exchanged their organizations (human, material, logistical) in forest patrols and controls, and the application of dina in the management of their protected areas. 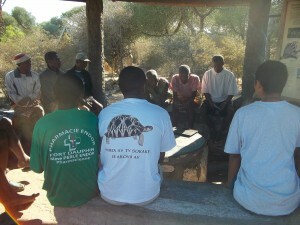 KASTI members from Bezà Mahafaly have recommended to strengthen the implementation of dina in and around the Reserve. Their recommendations include a separate application of dina for wildlife and flora, and a special fund for the management of the dina used for patrolling and surveillance of the Bezà forests.